Since 2010 the Klaus Böcker GmbH is with its production facilities in the country of origins active in business. Beside the provision of working places, the company sees itself jointly responsible for the welfare. 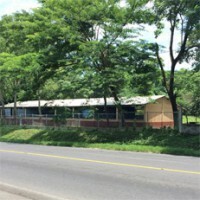 At present in Rio Bravo/Guatemala a local school, which is visited by children of many employees of Antigua Processors, is supported with donations in kind. The staff and their families are provided with medical care which is financed by the company. Extensive general and business specified further education complete the engagement.